TPF: Hugh, you’re living the dream every self-publishing indie writer has of having a story find its audience and really take off. If a major publisher came knocking, most of us would sign on the dotted line without even reading the contract. You didn’t do that. Why not? Hugh: It was a strange situation to be in, that’s for sure. I’d dreamed of getting an offer from a major publishing house; it was what I’d always wanted as an aspiring writer. But when the offers came, I walked away. Six and seven figure offers from top publishers, and I realized that these were bad deals. I was doing very well on my own; I had control over what I wrote and when I released it; and I could keep my prices low, which meant keeping my readership high. It also occurred to me very early on that the game had changed in a major way. Our works no longer go out of print. They are available forever. Signing away lifetime rights for very low royalty rates no longer makes sense. It may have back when a book was only going to be on the shelf for three to six months, but it’s just not smart anymore. And I was lucky to have an agent and a wife who saw the same trend and agreed with me. It made it a lot easier to turn down what I would’ve begged for just a few years prior. TPF: The success of your books is relatively recent. Was there ever a time you were in danger of giving up on writing? Hugh: Not at all. I didn’t go through the long rejection phase that saps the will from many writers. Self-publishing means I get to avoid all that. I don’t have to write to please an agent or an editor. I write the stories that I wish were already out there, make them available worldwide, and then move on to the next story. I can write in any genre I want, any length, and release several works a year. It’s hard to get frustrated when you’re the one in charge. Especially when your primary reason for writing is because you love it. TPF: On your website HughHowey.com you have a Progress Meter in the left sidebar. As a reader I love the idea of being able to see what’s coming up next from my favorite author and how soon. As the author, do those meters put any pressure on you and how the heck do you know how many words your book is going to be when it’s done? Hugh: Oh, yeah, it puts pressure on me. And that’s the point! 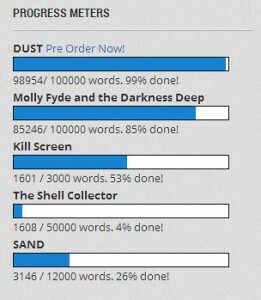 I learned the power of the world count meter from participating in NaNoWriMo. That stands for National Novel Writing Month, and it’s held every year in the month of November (it has since expanded to include July as well). The challenge is to write a 50,000 word novel in a single month. And the reason it’s doable is the word count meter. It serves another purpose as well, which you just hinted at: it allows readers to gauge when a book will be released. 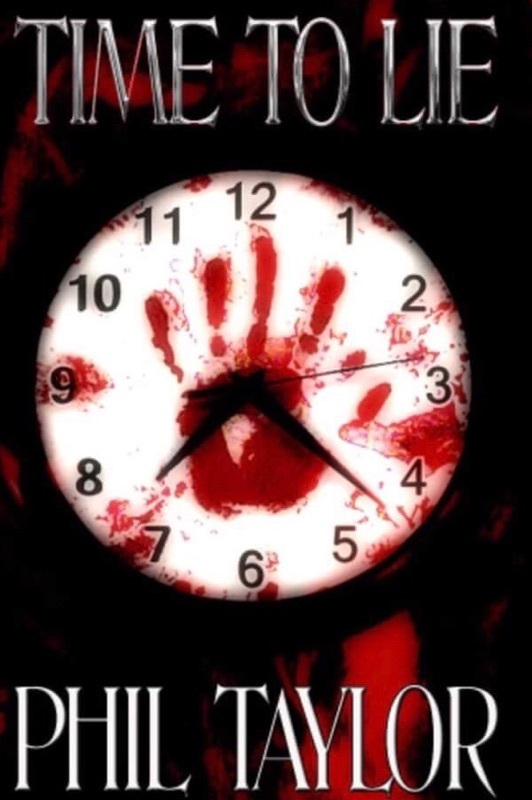 Since I self-publish, my novels come out when they’re done, not on an artificial release calendar. There’s no delay for ARCs or catalogs or national reviews. My books go straight to the reader. Watching that bar move is like watching a release date grow nearer. As for how I know the length of my works, it’s just something I’ve picked up on over the years. 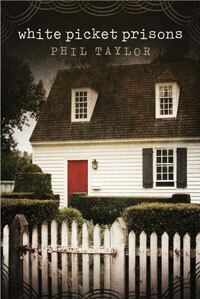 I’ve written 15 or so novels. I know within 10% how long a story will be before I start writing it. I think it just comes from experience. TPF: With the advent of the Amazon Kindle Worlds program you’ve actually supported and encouraged fan fiction of your Silo saga. Many writers might be uncomfortable with that idea. Why do you embrace it? Hugh: I’ve always been extremely open with my writing. I post sample chapters on my website as I’m working on a draft. I post ideas for upcoming novels without worrying that anyone might steal from me. Whatever that fear is that makes people want to protect their ideas and stories, I just don’t have it. I don’t worry about a film adaptation straying from my material. I just enjoy what I’m doing and feel flattered that anyone wants to join in. The biggest thrill I’ve had as a writer has been the opportunity to see other aspiring writers have success by writing in my world. Knowing how difficult it is to get a start in this career, being able to boost others is an incredible honor. I can’t imagine not wanting to do this. TPF: As a sailor, do you have plans for any nautical based novels? Hugh: Not a novel, but I do plan on writing about my boating days. I also plan on writing about and during an upcoming circumnavigation. TPF: If you could go back in time a few years, is there one piece of advice you’d give past Hugh based on what you’ve learned in the last two years? Hugh: I wish I could go back twenty years and tell myself to stop giving up on my rough drafts and just finish the manuscript. I mourn the years I spent dreaming of writing and not getting any actual writing done. I could have a hundred stories published by now, but I wasted my time doing frivolous things that were not an investment in my future nor nearly as satisfying as writing a story that will live on forever. That’s what I would tell my younger self. Hugh, thank you again for joining #ThePhilFactor today. 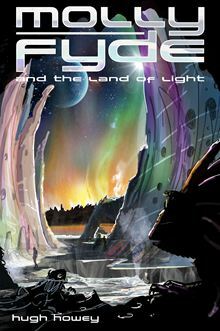 For my readers if you haven’t already, check out his unique and gripping brand of sci-fi that you can find in bookstores electronic and physical. 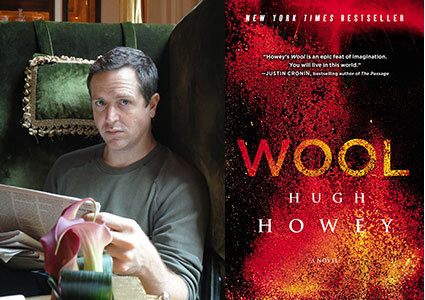 You can follow Hugh via HughHowey.com, on Facebook, and on Twitter. As always, if you enjoy what you read here, please share this on Facebook, Twitter and anywhere else that strikes your fancy. Provided that is that you have a fancy. I keep mine in a safe in the basement and only take it out for special occasions. This entry was posted in author, interview and tagged Hugh Howey interview, Kindle Direct Publishing, Kindle Worlds, Molly Fyde series, Silo saga, Simon & Schuster, The Phil Factor, Wool. Bookmark the permalink. I really enjoyed your interview with Hugh Howey as well as your other posts. This is a fun site that makes me think and laugh. Brilliant interview Phil. And certainly inspiring. I know some people may disagree but I have actually gone through a self-publishing firm here in the UK. The costs aren’t that brutal plus I figured working with a team would help me stay motivated and on track as I am a bit of a dreamer. Of course, I wish I had the balls and belief of someone like Hugh or yourself but it’s only after coming as far as I have that I’m now starting to think I might be able to make some sort of career for myself in writing… We shall see. Let’s just get this first one out there. I’m off to check out some of your other posts. Do you have a book out? I’ll buy it and review it on my site. It was interesting reading Jasmine’s review of 50 shades as I felt like even though the content will be different, we may share similar styles. Definitely looking forward to getting into that one when I get the chance! 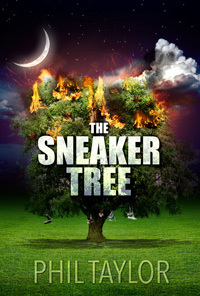 Make sure you let me know when it comes out. I will definitely read it. I loved the Wool Trilogy. I was lucky enough to find it when all three paper backs were available. Then I just ripped through the lot of them.